God has a way of getting us to our destiny! 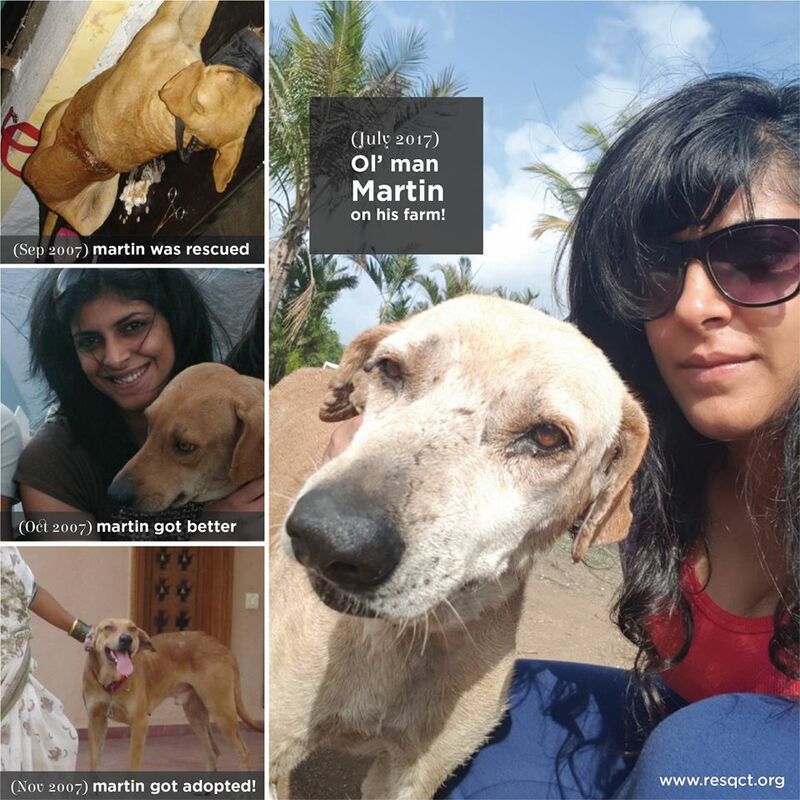 Ten years ago in 2007, Martin was 6 years old when RESQCT found him with a very deep maggot wound on his back. A survivor with battle scars on his face, Martin recovered from his wound completely in about 2 months. He was adopted by RESQCT Co-Founder Neha Panchamiya’s family who fell in love with his regal demeanour and astuteness. Martin found his forever home on their family farm and has guarded it earnestly since then. An intuitive companion and an extremely vigilant guard, Martin would not let intruders as much as peep into the farm without alerting the caretakers. Never someone who would harm a soul, Martin is a clever watchdog who has perfected the art of intimidation without confrontation. It's 2017 now and Martin is almost 16+ now, with a hearing disability that is a result of age. He is enjoying his retirement at his home and although his bark is now a deep and low woooof, he is still the ideal caretaker of the farm who has aged gracefully. His story makes us believe in happily-ever-afters!